After visiting Cranbrook, Benenden School, Benenden village and Benenden Sanatorium the Queen visited Tenterden on her way back to London. On her way the unusual sign at Castleton’s Oak, which shows a man sitting on his coffin, amused the Queen. Soon the impressive tower of Tenterden Church stood out on the skyline as she passed down Goods Hill. 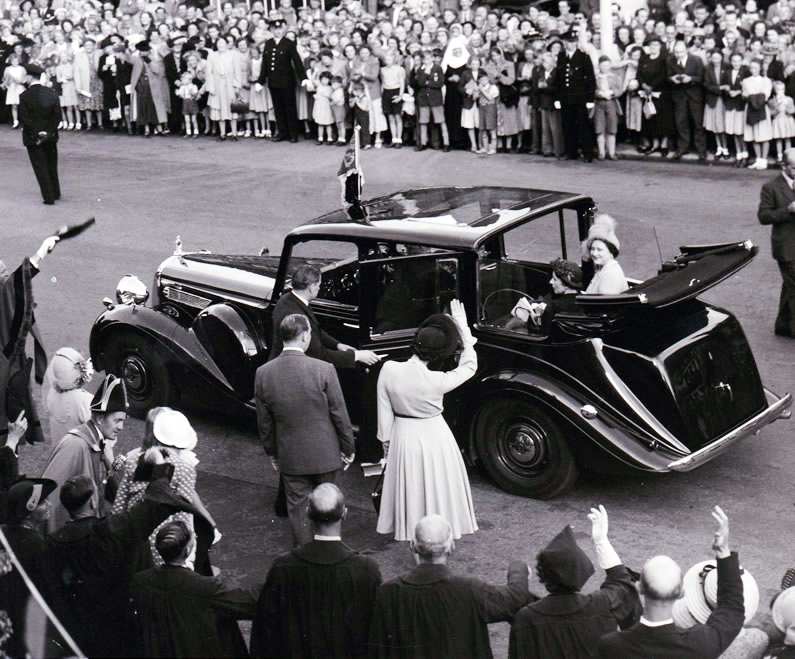 Before the Queen reached the town she went to Strood House, the Rolvenden home of Sir Harold Campbell, Equerry to the King since 1937, for a brief rest. Later, as she drove up Tenterden’s broad, tree shaded High Street, with its spacious grass verges; the Queen was able to admire the quiet dignity of the old Wealden market town. Her car stopped at the 18th-century Town Hall. 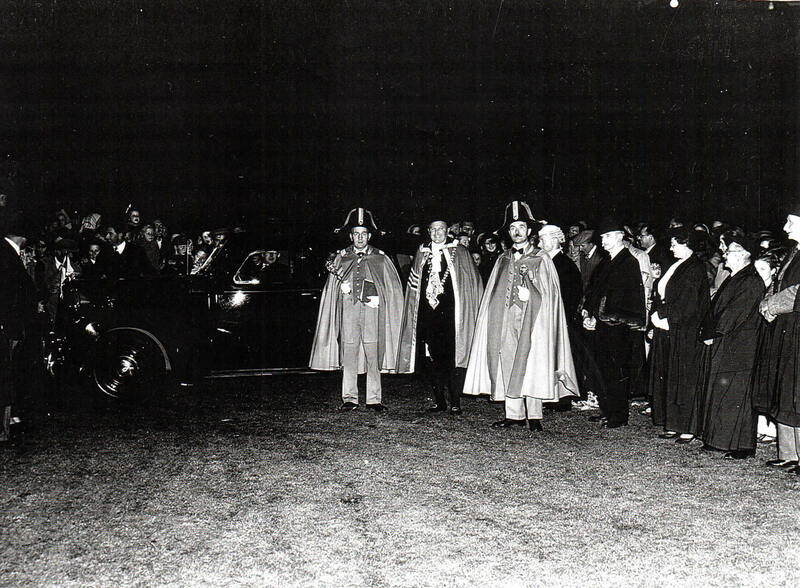 The Mayor, Alderman Stanley J Day and the Mayoress, Mrs Day, were presented to the Queen. 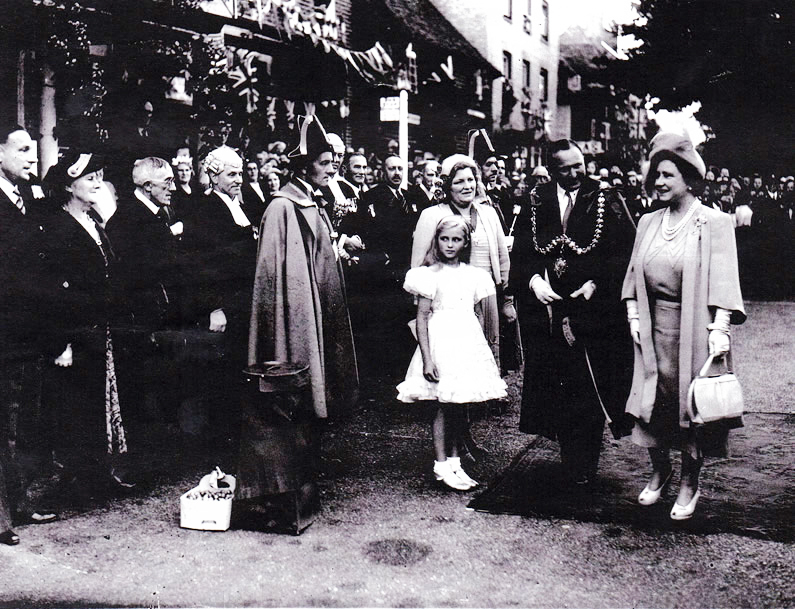 Then the Mayor’s 10 years old daughter, Dawn day, presented to Her Majesty, a large basket of Kent cherries, which had been gathered that morning. After she had accepted the cherries, the Mayor presented members of the Corporation, who were in their robes, to Her Majesty. 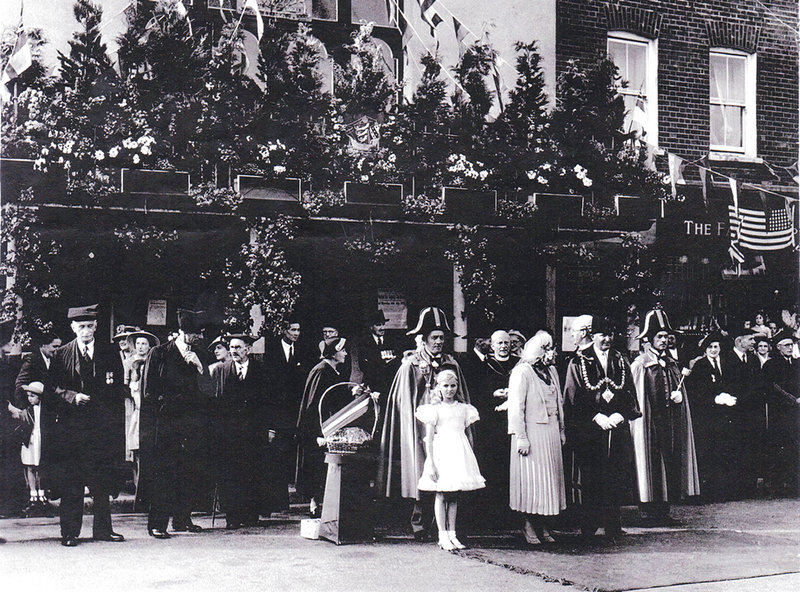 Her Majesty admired the fine old Town Hall, which was beautifully garlanded with roses. Leaving Tenterden with its cheering crowds the Queen passed through St Michaels and Biddenden. 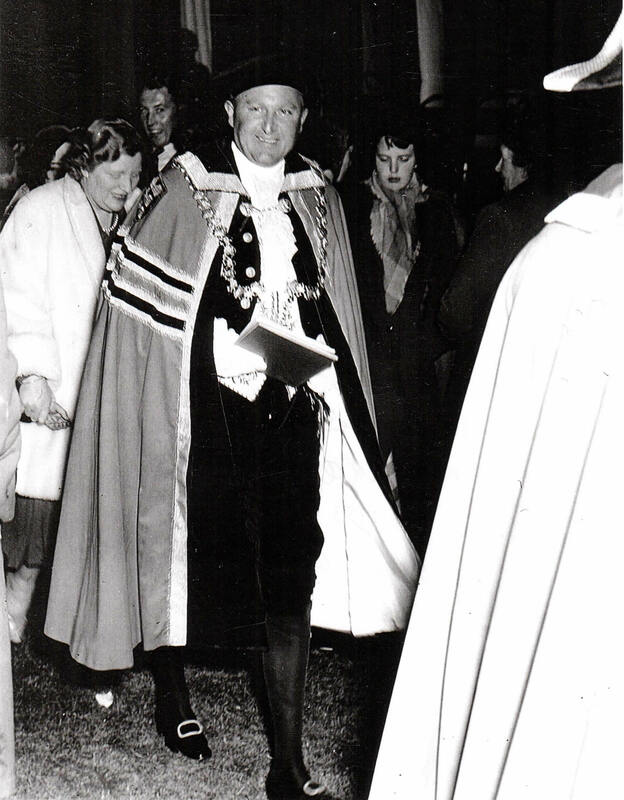 When the Queen had gone Lord and Lady Cornwallis joined the reception in the Town Hall, when, the Mayor, in a brief speech, proposed the Queen’s health and said it had been a great day in the history of Tenterden.